Weddings (and most events) offer a chance to celebrate and have a good time, and the last thing you want to do is commit an event faux pas. Whether you need a refresher course on how to be a great guest or you have questions as a first-time bride, here are some guest etiquette tips to help you. There is a reason most brides and grooms spend the extra money to send you a pre-stamped RSVP card – it is important to RSVP and on time. This goes for any event that asks for an RSVP. 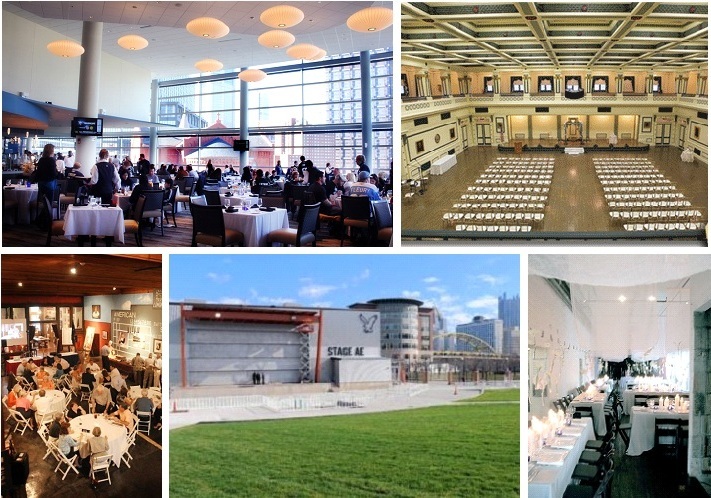 There are many reasons why the host needs to know if you are in or out, including catering estimates and seating. If you know you are definitely attending or if you will not be able to make it, RSVP right away. If you are unsure when you receive the invitation, remind yourself a week before the RSVP deadline to decide. Put the card or invitation where you will not miss it, such as on the refrigerator or paper clipped to your calendar. If you have to cancel after you have already accepted an invitation, be considerate and call the host right away to let them know. It is also important to let the host know if your guest can no longer come and if you are bringing someone in his or her place. If you are not invited to bring a guest to a wedding, it is not appropriate to RSVP plus one or to bring a guest. If you have any questions about your invitation, call the host and ask for clarification. If you are invited to an event and it is not specified whether or not you can bring a guest, it is still a good idea to call the host ahead of time and ask. This rule of thumb includes children as well. You may think your child will not cost extra because he or she will just pick off your plate when it comes to the meal, but there may be a reason why children were not originally included in the invitation. If the invitation notes attire, it is important to take that into consideration when choosing your outfit. While black tie may seem formal for an afternoon wedding, it is considerate to respect the wishes of the host. Remember, if you wanted certain attire at your event, you would appreciate everyone following suit! 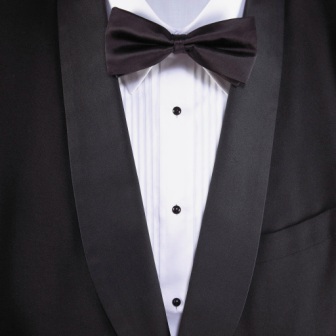 White Tie (aka ultra-formal) – Full tux, with tie, vest and shirt for him and long gown for her. Black Tie (aka formal) – Tuxedo for him and cocktail or dressy evening wear for her. Black Tie Optional – Dark suit and tie or tuxedo for him. Cocktail, long dress or dressy skirt for her. Creative Black Tie – A trendy alternative to Black Tie. Tuxedo (sometimes without a tie) for him and cocktail, evening wear or short dress for her. Semi-Formal (aka after five or informal) – Dark suit for him and cocktail dress for her for an evening event. Suit and tie for him and a shorter dress or pant suit for her for a daytime time. Cocktail Attire – Dark suit for him and short dress are appropriate for her. Dressy Casual – Dressed up casual wear, such as a sport coat for him and dressy pants and top for her. Casual – Typically anything goes but use common sense! Show up on time. Period. If the event is a wedding, plan to arrive at the ceremony at least 15 minutes early. If the event is a surprise party, arrive at least 15 – 25 minutes in advance. If the event is for a birthday, housewarming, retirement, etc., it is acceptable to take the gift with you to the event. For a wedding, it is best to mail it or drop it off for the couple ahead of time. While it is tempting to bring it to the wedding (especially if you purchased something bulky), it is not the best etiquette. If you have ever been a bridesmaid, you understand! Someone has to be in charge of collecting all the gifts, hauling them from the ceremony to the reception, stashing them somewhere safe during the reception (many venues do not want to be responsible for gifts), transporting them to the appropriate car and then making sure they get to the couple. Many consider it customary to send a gift if you cannot attend the wedding. If you are unable to attend, use your best judgment as to whether or not you think it is appropriate to send a gift. It is always a good idea to have some extra cash with you in case you need it to tip the valet or bartender, or need it for an unexpected cash bar. While these are not official wedding rules, they are suggestions compiled by those of us who have attended our share of weddings.